The best salespeople ask endless questions, stretch beyond their comfort zone, and are continuously on the quest to learn more to be the best they can be. The elite sales managers I mentor and coach push their teams beyond the scope of the 9 to 5 job. Sure, we can all do our jobs but after a while, it can become “the same” and we want and crave more. We are fortunate to be in an industry that provides an abundance of educational resources that are affordable, accessible and practical. We can join associations that provide relatable webinars, peer networking, and regional workshops to teach us more. (Tip: Check out www.internationalcaterersassociation.org). 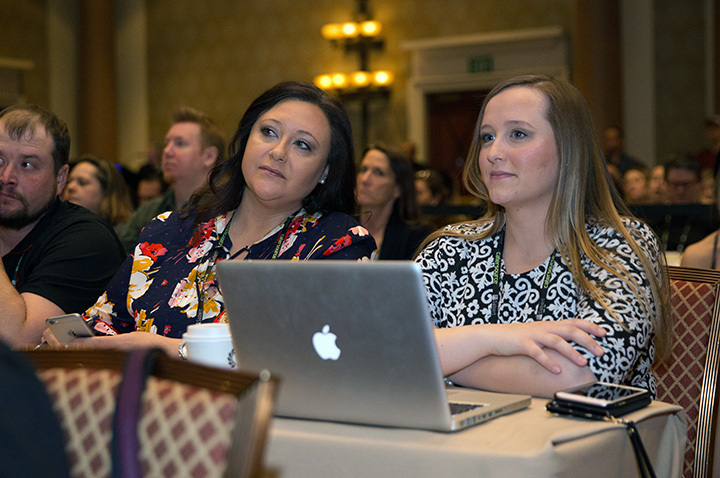 We can attend conferences to give us that annual boost to inspire us to think differently, hear fabulous speakers, attend trade shows, and network with our peers. (Tip: Check out conference.catersource.com). We also can dine in our respective cities, watch hospitality-designed programs, read magazines, engage in social media, and travel. I participate in several outlets to continuously educate myself and keep “my” industry and business fresh. I am honored to be on the ICA board for my sixth year, presently as the President’s Council Chair. I am an active Advisory Council member for Catersource. My coffee table is stacked with magazines to keep me inspired. I invest in travel to open my eyes to other cultures, foods, and people. Due to the geographic jackpot, I was able to spend four working day and nights in Lyon, France prior to meeting travel companions for a driving tour from Geneva, Switzerland to Munich, Germany. Lyon has always intrigued me as a city whose people live and breathe food and wine with a passion. I had to invest the additional time, money and my curious and adventurous spirit as a solo traveler in order to educate myself on this historic and fascinating city. To say the Lyonnais are passionate about food is an understatement. Each evening I dined at a typical Lyonnais bouchon, which are warm, cozy restaurants serving regional, hearty specialties. I enjoyed the local red wines served in “pots” or fillettes. Paul Bocuse’s (may he rest in peace) love for his town and influence is felt everywhere. I visited his namesake culinary and hospitality school as well as the magnificent food hall, Les Halles de Lyon- Paul Bocuse. I grabbed my book and shopped with the locals at the Saint Antoine Market for fresh fruit, cheese, and a baguette to eat a simple lunch along the Rhône. I signed up for a fantastic four-hour food and wine walking tour through Vieux Lyon that started with a Saint-Marcellin at the fromagerie (cheese shop) and included stops for pates, local wines, authentic Jésus de Lyon (dry cured sausage), incredible ice cream, and local craft beer, and ended with the famous tarte aux pralines. Throughout my journey I took photographs, notes, menus, asked questions, and was an inquisitive student. I wanted to better understand the beautiful culture that celebrates the joie de vivre lifestyle and that approaches food and beverage as a significant moment in everyday life. This was important to learn and be able to bring back to clients back home. As leaders in our industry, it is imperative that we encourage continuing education. We must provide inspiration, guidance, and financial resources for our teams to get out there, explore new ideas, and then share with the entire team. I know traveling to France is a fortunate and once in a lifetime experience, but it is up to you to find your “France” in whatever outlet you can. It can be a road trip an hour away from your home as much as it can be a new restaurant in a different neighborhood in your own town. Just go out and start exploring. Get excited to get out there, be willing to learn, share your findings, and continue to be the best you can be. See Jen Perna at Catersource! Click here for the most recent information on the Catersource Conference & Tradeshow. Registration is now open!